To schedule a free consultation or if you have any questions, please feel free to complete the form below, and an attorney from David I. Pankin, P.C. will contact you shortly. 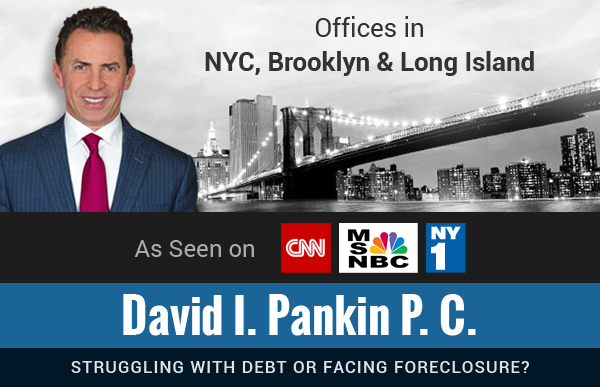 The Law Offices of David I. Pankin P.C. has been helping clients facing financial difficulty for over 18 years, and we are eager to help you get a fresh financial start. We can also be reached directly — toll free — at (888) 529-9600.